Offering professional web design services we create custom website solutions for any client and with a high degree of interactivity we ensure that the product is engineered to suit your needs. Specialising in personal and small and medium sized business websites we really can create your dream website. Cub & Bear offer the very best children's clothing from new born to 6 years old. With over 100 products for sale, this e-commerce website has just launched with many exciting times ahead. BIPCOM has been providing voice and data solutions for over 20 years. They combine their skills with reliable partners offering up to date effective & competitive solutions for customers. Designed to showcase the life of a professional sailor, this website has a personal touch and includes features such as a blog, a photo gallery, a page for supporters as well as a secure donations page built in. We are all-in-one solution for anyone looking to create a beautiful website personal or business. We design, create, host and update your website to your exact specifications when and where you want it. No worry, no hassle. Our all-inclusive prices mean there is one set yearly rate with no hidden charges or unexpected surprises. Design and building work is included in our prices meaning you never have to worry about spiralling costs during development or updates. Getting your vision for your dream website across shouldn't be hard which is why we are friendly, fun and flexible. We strive to accommodate every customers needs and work around the clock to ensure you are always happy. A stunning website should come with an equally stunning price. That's why all of our website packages are priced to impress whilst ensuring you have an excellent customer experience. We pride ourselves on our design skills with all different styles catered for. Combined with our fresh approach we are able to create just about anything to suit your dream. Fully built custom website with up to 7 pages. One-to-one meetings discussing your requirements. Mobile and desktop optimized website. Page features such as a gallery, blog, videos, audio and more. Custom domain name (e.g. yourname.com). Fully hosted and maintained by us - zero work required from you. 12 hours worth of updates free. Fully built custom website with up to 12 pages. Professional online shop with up to 100 items. Mobile and desktop optimized website and checkout. Page features such as a gallery, blog, videos, audio, shop and more. 24 hours worth of updates free. Inventory, orders, tax and discount management tool. Automatic integration with Shipstation label printing. Secure Sockets Layer encrypted online payments system. A professional email account from Google (e.g. yourname@yourcompany.com). Lusenda was founded by Sam Whaley, aged 21. 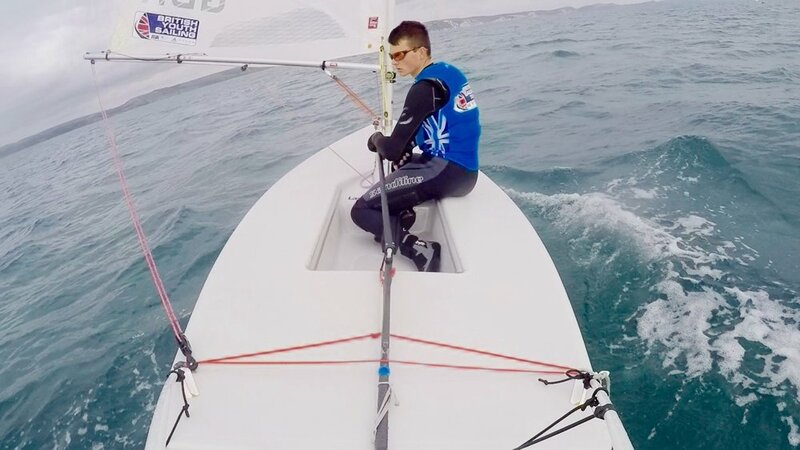 Having previously worked at Microsoft UK aged just 18 designing and building online and mobile applications I left in 2016 to pursue my sailing dreams of one day winning an Olympic Gold medal. I am a member of the British Sailing Team, the Olympic development squad, and train all year round in the pursuit of success. As well as my sailing I have always loved designing and creating apps, websites and more. After I designed and launched my own website about my sailing, I decided to start making websites for others with great success. I am a very passionate and energetic individual who loves problem solving and sports amongst many other things. Always reliable and focused, I have a great work ethic and love challenging myself. No matter how big or small the task, I always find an efficient and smart solution to suit all needs. Whether you are looking for a website for you or your business, or simply just inquiring, feel free to contact me for friendly, free advice. Thank you for you enquiry - I will reply as soon as possible.